Fruiting False Hop Sedge, Carex lupuliformis. Photo CC BY-NC-SA Mary Keim. Along the Econlockhatchee River at the Econlockhatchee Sandhills Conservation Area. April 2013. 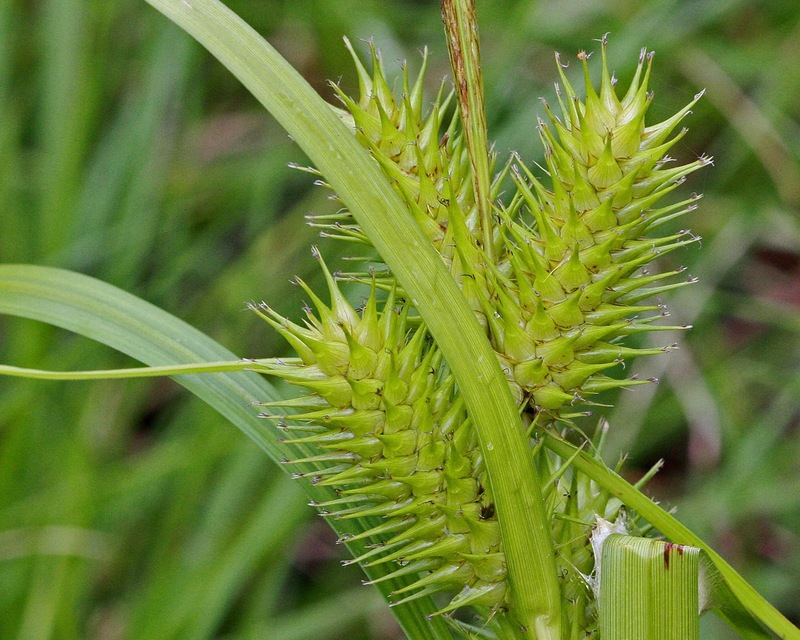 False Hop Sedge, Carex lupuliformis, growing in standing water. Photo CC BY-NC Sherry Nigro. In Six Mile Cypress Slough, Lee County. February 2019. 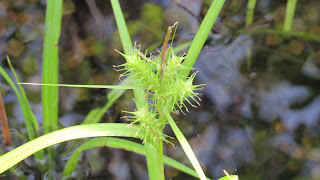 False Hop Sedge is within the Lupulinae section of the Carex genus5, which mean that it is closely related to the other hoppy-looking sedges in Florida: Giant Sedge (C. gigantea), Gray's Sedge (C. grayi), Bladder Sedge (C. intumescens), Louisiana Sedge (Carex louisianica), and Hop Sedge (C. lupulina). 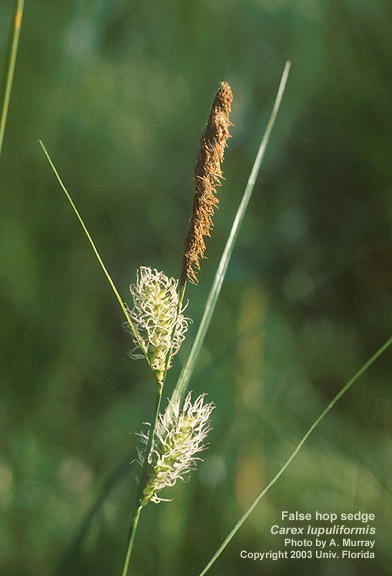 False Hop Sedge is listed as threatened or endangered in several US states and Canada6. 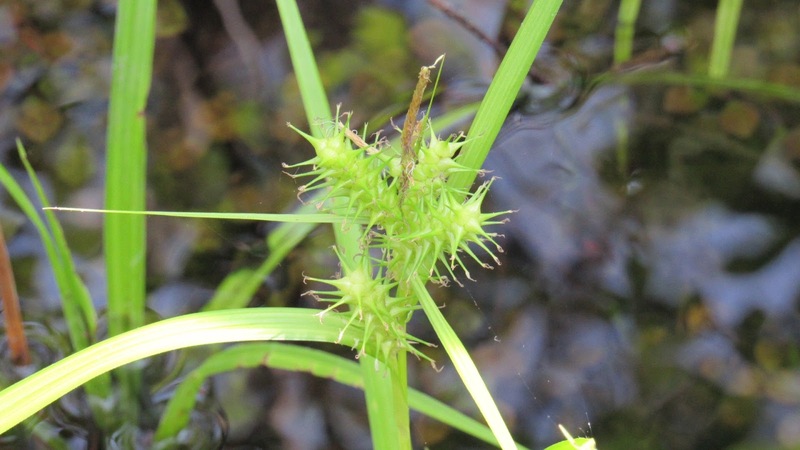 Habitat loss occurs with the modification and destruction of floodplains. Sartwell, H. 1848. Carices Americae septentrionalis exsiccatae.